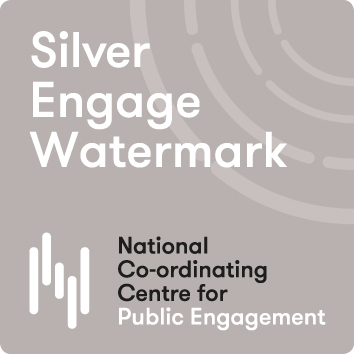 The long-standing efforts of the Wellcome Genome Campus to engage and inspire the public have today (29th November 2018) been rewarded with the Silver Engage Watermark from the National Co-ordinating Centre for Public Engagement (NCCPE). The Engage Watermark recognises strategic support for public engagement across the organisation, as well as the commitment to develop plans for the future. The Wellcome Genome Campus is home to some of the world’s foremost institutes and organisations in genomics and computational biology including the Wellcome Sanger Institute and EMBL’s European Bioinformatics Institute (EMBL-EBI), and also major engagement programmes, through Connecting Science. Established 25 years ago to spearhead the UK’s role in the International Human Genome Project, the Campus is founded on principles of openness and sharing of scientific data. Engaging with stakeholders including the public is a vital part of sharing and shaping this science. We are delighted to be able to award Wellcome Genome Campus a Silver Engage Watermark. There is a long history of public engagement activity at the campus, with dedicated staff, significant investment, and many opportunities for staff and students to become involved. The leadership team see public engagement as an essential part of the campus, and the future for public engagement looks very bright with such talented and committed people involved. Genomics is rapidly becoming part of people’s everyday lives, and it’s our goal to enable everyone to explore this deeply personal science. We’ve been working hard to embed a culture of public engagement across the full range of staff and students on the Wellcome Genome Campus. Achieving this Silver Watermark is a fitting testament to the efforts of everyone and our future plans for public engagement across the campus. The National Co-ordinating Centre for Public Engagement (NCCPE) champions meaningful engagement where the benefits of research can be shared with the public and which can make a real difference to people’s lives. Their Engage Watermark assesses an institute’s public engagement and recognises achievements and plans in developing more effective ways to engage with society. We are very keen to encourage more people to embrace public engagement and provide more opportunities for staff and students. Our plans towards a coordinated strategy across the different institutes on site will help to build a culture of engagement throughout the entire campus. We are really pleased that the efforts and progress of our researchers and public engagement team have been recognised with this Silver Watermark. We are committed to developing a culture where public engagement is supported and encouraged and this award gives us a very strong platform for our next steps in public engagement.